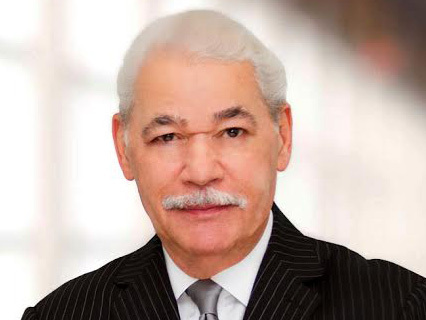 George Fraser | HOPE Global Forums | Presented by Operation HOPE, Inc.
Dr. George C. Fraser is Chairman and CEO of FraserNet, Inc., a company he founded over 30 years ago, to lead a global networking and economic development movement for people of African descent. Born in Brooklyn, NY, he was an orphan and foster child for 15 years. He spent 20 years in leadership positions with Procter & Gamble, United Way and Ford Motor Company before starting his own business, FraserNet Inc. in 1987. He’s written 6 best-selling books to include: Success Runs in Our Race, Click and most recently, Mission Unstoppable: Extraordinary Stories of Failure’s Blessings, a book he co-authored with Les Brown. Upscale Magazine named him one of the “Top 50 Power Brokers in Black America,” and Black Enterprise magazine called him “Black America’s #1 Networker” and featured him on its cover. Dr. Fraser has been featured on 7 national magazine covers, He has received over 350 awards and citations to include: Induction into the Minority Business Hall of Fame and Museum, 3 Honorary Doctorate Degrees, a Chaplaincy and a **Ambassadorship. He is a Certified Financial Education Instructor and has an Insurance License. He has been named as one of the best speakers in America and 5 of his speeches have been selected for global distribution by the prestigious Vital Speeches of the Day magazine, a first for any professional speaker in America. In 2016 President Obama awarded Dr. Fraser “The President’s Lifetime Achievement Award” Dr. Fraser is most proud of the 2 charter schools he helped founded in Cleveland, Ohio nearly 15 years ago which educate nearly 300 inner city Black children of which 60% are boys. Dr. Fraser’s “final act”, is to use his massive network and influence to join the fight for financial literacy in Black America. He is now in the process of launching the WINGS Financial Education Centers and Curriculum. WINGS is a rebranding and upgrading of the “old school” Black church “Wealth Ministries”. Over the next decade, thousands of new and well-equipped WINGS Centers will be open (free of charge) to all those to want to teach and/or learn the basics of money “free of charge”. Classroom instruction will be provided for free by thousands of underutilized financial services professionals who will get Certified in Financial Education Instruction(CFEI).